Burnley picked up a few more injuries as they beat Aberdeen in the Europa League, which could make it harder to invest in them for Gameweek 1. Elsewhere, the make-up of the three-man defence at Southampton is becoming clearer, while we learned more about Leicester’s team selection without Jamie Vardy (£9.0m) and Harry Maguire (£5.5m). In another Scout Notes article we have a look at what the latest goals, assists and line-ups mean for our Fantasy Premier League teams. Burnley’s European win over Aberdeen came at a slight cost as minor injuries were sustained by three of players all previously expected to be in the starting line-up for Gameweek 1. “We have a number of soft tissue injuries. Chris Wood (abductor), Aaron Lennon (hamstring) and Stephen Ward. not serious ones, but we’ve had to be really careful tonight.” – Sean Dyche. A potential lay-off for Chris Wood (£6.5m) would probably reduce the complication in picking the right centre-forward for the Clarets’ trip to Southampton on August 12. But if manager Sean Dyche confirms in the coming days that he is fit, it will be hard to predict who will start next Sunday. Sam Vokes (£5.5m) has registered more pre-season minutes than any of his colleagues (493) but was used only as a substitute in the first-leg of the Europa League qualifier at Aberdeen. However, he was restored to the starting line-up for the return leg at Turf Moor last night. Ashley Barnes (£6.0m) has struggled with a minor injury himself over the summer and has featured just three times, but should be available for Gameweek 1. Aaron Lennon (£5.0m) had emerged as a great alternative to the injured Robbie Brady (£5.5m), registering more pre-season match time than any other winger at the club so far (457 minutes). He is another player to monitor the fitness of as he could provide excellent value in the Burnley attack, with two goals scored this summer. If he misses out then Jonathan Walters (£5.0m) could replace him. Stephen Ward (£5.0m), if fit, is a sure starter in a very settled Burnley back-line. He started last night’s match alongside Matt Lowton (£5.0m) and the centre-back pairing of James Tarkowski (£5.0m) and Ben Mee (£5.0m). He was withdrawn at full-time with Charlie Taylor (£4.5m) coming on for extra-time, and assisting Jack Cork’s (£5.0m) all-important goal. Anders Lindegard (£4.5m) could retain his starting berth in the Burnley goal for Gameweek 1 as he was chosen for Thursday’s big European night. Before the match Dyche revealed that Tom Heaton (£5.0m) was in with a chance of playing but in the end he was not risked. At the very least, he is still being considered for the final friendly of the summer, Espanyol’s visit to Turf Moor on Sunday. While Nick Pope (£5.0m) is not expected to be in contention for some time, the operation following the dislocation of his shoulder has reportedly gone well. BURNLEY XI (4-4-2): Lindegaard; Ward (Taylor 90’), Mee, Tarkowski, Lowton; Gudmundsson, Cork, Westwood (Hendrick 105’), Lennon (O’Neill 87’); Vokes, Wood (Barnes 45’). Kasper Schmeichel (£5.0m) returned to match action for Leicester City as they were held to a 1-1 draw by Valencia at the King Power Stadium. He is the first Foxes goalkeeper to last the full 90 minutes in pre-season, as manager Claude Puel has favoured heavy rotation within matches thus far. The fact he managed to play the whole game would suggest that he is already targeting a start in Gameweek 1. However, it has now been confirmed by the Leicester boss that England’s World Cup squad members Jamie Vardy (£9.0m) and Harry Maguire (£5.5m) are serious doubts to face Old Trafford in the opening game of the 2018/19 Premier League season. Those absences, as expected, leave the door open for alternative options up front and at centre-back in the early part of the season. Kelechi Iheanacho (£6.0m) strengthened his credentials against Valencia by adding his second goal of pre-season. However, no Leicester player has registered more minutes this summer than Fousseni Diabaté (£5.0m), who could be used either in attacking midfield or as a striker. Demarai Gray (£5.5m) is also an option here but was rested for the most recent match. As for central defence, Wes Morgan (£4.5m) looks the most likely to play but Jonny Evans (£5.0m) is currently out of action with an injury, as is Nampalys Mendy (not in FPL). If the former West Bromwich Albion man ends up missing out on Gameweek 1, it could mean a start for Yohan Benalouane (£4.0m), who was paired with Morgan for the Valencia meeting. However, versatile Darnell Johnson (not in FPL) has also been used in that role, as well as at right-back. In fact, Diabaté is the only Leicester player with more pre-season minutes than Johnson’s 246 so far. It is difficult to predict too much about Leicester’s starting XI for Gameweek 1 considering Puel’s heavy rotation within pre-season matches. But we can see that Ben Chilwell (£4.5m) has played more minutes than Christian Fuchs (£4.5m) at left-back (230 to 160), while James Maddison (£6.5m) should be involved after two assists in 217 pre-season minutes. LECIESTER CITY XI (4-4-2): Schmeichel; Chilwell (Gordon 63’), Morgan (Ndukwu 63’), Benalouane (Johnson 45’), Pereira (Elder 45’); Albrighton (Knight 63’), Iborra (Choudhury 63’), Ndidi (Amartey 45’), Maddison (Fuchs 63’); Diabaté (Thomas 75’), Iheanacho (Silva 45’). The arrival of striker Yoshinori Muto (£6.0m) could not come soon enough for Newcastle after their need for reinforcements was highlighted by a 4-0 defeat in Portugal. The Japanese international will be facing competition chiefly from Ayoze Pérez (£6.5m), whose involvement at Braga means he is the most-used forward in pre-season for the Magpies (242 minutes). Joselu (£5.0m) and Dwight Gayle (£6.0m) have been involved less often, with 179 and 118 minutes respectively. Jonjo Shelvey (£5.5m) missed out on this match through a minor injury but, in his role as co-commentator for BBC Newcastle, he revealed that he should be back for the final friendly of the summer against Augsburg. Meanwhile, Jamaal Lascelles (£5.0m) should be okay to return too after he was withdrawn at half-time for precautionary reasons with a knock to his shoulder. Benitez simply said “he’s okay” when asked about him post-match. That means the only main injury concern at the back remains Florian Lejuene (£4.5m), who recently sustained a long-term cruciate ligament problem. Barring any signings, DeAndre Yedlin (£4.5m) and Ciaran Clark (£4.5m) should start in Gameweek 1; no other Newcastle defenders have more pre-season minutes than their 225 and 205 respectively. In attacking midfield Matt Ritchie (£6.0m) looks the most assured starter with 287 minutes under his belt this summer, more than any of his colleagues. NEWCASTLE UNITED XI (4-4-2): Dubravka (Darlow 73’); Dummett, Clark, Lascelles (Schar 45’), Yedlin (Manquillo 73’); Atsu (Murphy 66’), Diamé, Hayden (Ki 66’), Ritchie (Roberts 80’); Gayle (Joselu 73’), Pérez (Longstaff 80’). Mark Hughes’ preferred personnel for his three-man Southampton defence were made clearer in this pre-season win over Celta Vigo at St Mary’s Stadium. Wesley Hoedt (£4.5m) looks the most likely to be involved against Burnley in Gameweek 1 as none of his team-mates have recorded more minutes than his 405 so far this summer. Jannik Vestergaard (£5.0m) should sit alongside him given his high-profile switch from Borussia Mönchengladbach. It now looks as if the final slot could fall to either one of Jack Stephens (£4.5m) or Jan Bednarek (£4.0m), with Maya Yoshida (£4.5m) not ready for match action yet. The former has registered more minutes, only Hoedt and Ryan Bertrand (£5.0m) have played more this summer, but Bednarek has started both matches since his return to training, at Stephens’ expense. Bertrand seems to have finally moved out of the back three and has spent the last two matches deployed on the left flank of the midfield five. Behind the back-line, Alex McCarthy (£4.5m) appears to be winning the battle to start between the sticks. He is the only Southampton goalkeeper to have been involved in every match so far and has 270 minutes to his name, compared with Angus Gunn (£4.5m) and Fraser Forster’s (£4.5m) 90 each. With 3-5-2 looking like Hughes’ preferred formation, Manolo Gabbiadini (£6.0m) and Charlie Austin (£6.0m) should start as the strikers in that system. The Italian has chalked up two goals inn 260 minutes this summer, while former QPR man Austin has found the net and assisted once each in 243 minutes. Shane Long (£5.0m) trails the pair with just three appearances amounting to 135 minutes. Nathan Redmond (£5.5m) and Mario Lemina (£5.0m) missed the match but should be back in time to feature against Borussia Mönchengladbach on Saturday. Redmond fell awkwardly in the win over Dijon while Lemina’s wife gave birth this week. Cedric Soares (£4.5m) and Yoshida have returned to training but have not yet been deemed fit enough to be involved in pre-season friendlies. As predicted, they are to be considered doubts for Gameweek 1. Matt Targett (£4.5m) looks to be an option on the right flank of the midfield five in Cedric’s absence. 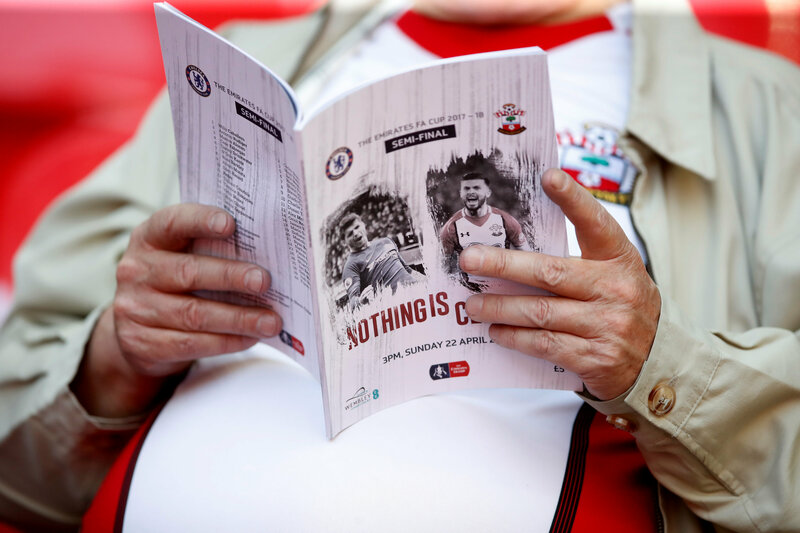 SOUTHAMPTON XI (3-5-2): McCarthy (Gunn 45’); Bednarek (Stephens 60’), Vestergaard, Hoedt; Bertrand (Reed 81’), Davis (Højbjerg 45’), Romeu (Ward-Prowse 77’), Armstrong (Elyounoussi 60’), McQueen (Targett 45’); Gabbiadini (Gallagher 77’), Long (Austin 45’). I mainly just want to know who's the most nailed? We can't know, we haven't even had GW1. Might know more after the CS Sunday. Prominent Chelsea fan pages on twitter. Nothing concrete, just speculation. Well look like FPL have completely and bizarrely overpriced Meyer.....6m???! I was just watching Sky Sports news, and scrolling through the channels, they are actually showing a tournament of people playing the FIFA computer game, their is a 'World Cup' trophy and player interviews etc. I know this probably makes me sounds like I'm 80 years old, but is this a new thing?! It is weird, they should be playing PES. No it's not new. I believe the price for this tournament is 250.000. No way, and my mother told me I was wasting my time playing FIFA 97. At FIFA 97, I would be confident in being top 100. No. It's called E-Sports. Been there for a while now. Umm... Gaming is life for some of us 🙂 Just like FPL. Yeah, not knocking it mate, every one should like the things they like, just surprised to see something like this on television, with the set up they have. Joe Hart at 4.5 m? Burnley have great fixtures. I know they didn’t keep many clean sheets end season but the extra cash could be used elsewhere. That's why he stated 'end' of season. They finished poorly. Have a feeling Burnley could leak a goal or two to Southampton. A cursory glance at google shows that he has 22 goals in 66 games in Switzerland... is he really that good? i think firing is taken for granted as he always scores when he plays. So its really just if he's fit, becuase i don't think Gabbi is a better striker... hopefully hughes thinks same! "i head the news today, oh boy!" What you think about Lucas Moura? I'd like to play him early for a few weeks and probably no more. Son coming back as well as other WC regulars. I just do not feel comfortable that he'll start and if he does it most likely will be short term. Any good defensive full backs in the range 4.0 to 4.5m? Who do you think will be the top 3 teams defensively this season? Which defenders from Liverpool is nailed despite Robertson?